Rearing shrimp is the latest craze in the aquarium hobby perhaps due to the beauty and ease of caring for the aquarium animal. While there are various types of freshwater shrimp available for aquarium hobby, the Bee Shrimp certainly is one of the more popular ones. This kind of shrimp really makes a great addition to the aquarium by offering stunning and beautiful display. This shrimp is not for the first timers in the hobby because it is quite demanding and requires the care of an experienced aquarist. The animal is said to be a native of China and it can live a maximum of just 18 months. 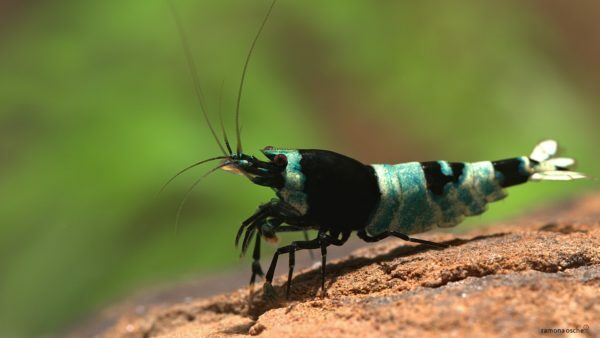 The bee shrimp in the wild are known to live in rivers that have soft water and therefore when they are to be kept in captivity their habitat must be replicated with that in the wild. It is a peaceful shrimp and will thus make a great addition to any given tropical aquarium. With proper care in the aquarium setting, the shrimp can really look amazing in the tank and definitely work as the center of dominance in your aquarium. There are many variations of the bee shrimp but it is the black bee shrimp sometimes referred to as crystal bee is the original one. The female shrimp of this species is usually larger than the male shirmp. The shrimp usually exhibits white and dark brown stripes on its body in a zebra-like manner. There are other varieties however that may show red and black stripe patterns, all blue color, all black color, and white color. It is a freshwater shrimp that likes to inhabit small rivers or streams with slow moving water. It is native to China but there are some reports that are also found naturally in Taiwan. The shrimp inhabits soft waters and will not survive in hard water so the preferred water parameter should be between KH 0 and 2. Just like many other varieties of shrimp the bee shrimp only thrives in clean water and this is true even in its natural habitat where it is usually found in clean waters because it will easily die in dirty waters or heavily polluted streams or rivers. In the wild, the shrimp inhabits waters that have temperatures that are below 26°C. This means that even in captivity it will be a requirement to keep it within this temperature range. In addition to the water parameters above, you could also have caves or some hiding place because they are prey animals and thus like to hide to prevent easy detection by predators. 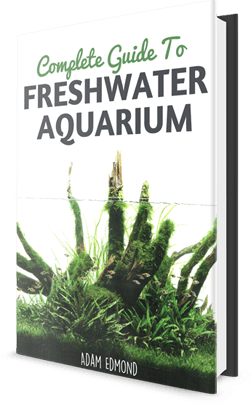 You can have live freshwater plants in the aquarium that will also help provide hiding places and help expel buildup of ammonia from the water thus improving the quality. You might want to consider adding low-light aquatic mosses like the java moss to help provide shelter for the shrimp in there. Ensure that you keep the water temperature low in order for more oxygen to dissolve in the tank water. The shrimp does well in well-oxygenated waters. It is a filter feeder but it is also accustomed to eating small pieces of algae and decaying vegetation in the wild. In an aquarium setting, the diet of the shrimp needs to be diversified in order to help keep it well nourished. In addition to the above list, you could also include Indian almond leaves. The leaves will help to form biofilm as they start to rot slowly thus acting a great source of food for the shrimp. This will also help in the maintenance of a low pH in the aquarium. Another important tip is that once you have offered food to your shrimp ensure that you remove any leftover food immediately from the tank. This will help to keep the water quality intact. Breeding the Shrimp is not an easy task and requires the hands of an expert in shrimp aquarium breeding. The one major setback in breeding the bee shrimp in the tank is that in most cases the offspring usually turns out to be weak. This usually makes survival for the juvenile shrimp complicated. To be able to get successful with breeding the Bee Shrimp proper identification of the sexes is vital. The female is usually a little larger than the male and also has a deeper abdomen. It is the female shrimp that will initiate the breeding process for the species. The breeding process therefore usually starts with the female releasing pheromones in the water thus signaling the male that time for mating is ready. The male will then approach the female and a bizarre dancing and swimming act will ensue. It is the female that carries the eggs underneath her abdomen until they hatch to produce juvenile shrimp. It is important to note that at high a temperature that temperature that is more than 76 degrees Fahrenheit all the juvenile shrimp will not survive. It is therefore imperative to keep the tank water below this temperature if any successful breeding is to be achieved. As you can imagine, having bee shrimps in your aquarium will require a lot of maintenance and care. However, if you are confident that you can provide the necessary care, then the bee shrimps will give you much joy in this hobby. Best of luck!